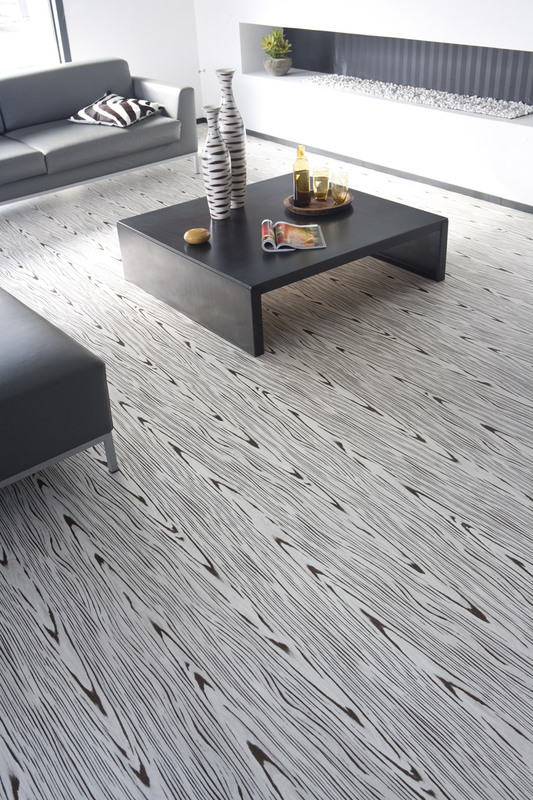 The design options for vinyl flooring installation are nearly endless. You can choose from solid colors, fun patterns, hardwood and stone imitation. 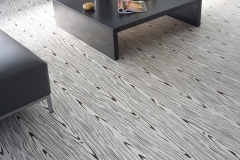 Installing vinyl floors is a great option for people who want to include a less expensive, and fun flooring option into their home without the hassle and long-term commitment of tile. 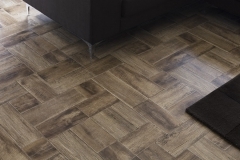 Vinyl flooring can be padded and is much softer on the feet for small children. This layer of added cushion to a vinyl floor can provide comfort in the winter months as well, as it does not get as cold as other flooring installation options in Orland Park, IL. Kitchens, bathrooms and laundry rooms can be a hotbed of flooring disasters due to leaks and spills. 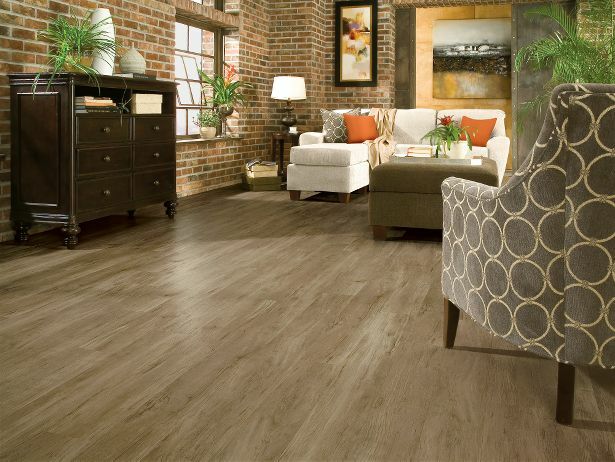 Vinyl flooring solves the problem by being nearly impervious to water damage when installed by our professional, experienced team in Orland Park. With watertight vinyl flooring installation, Tinley Park's CMS Floors can provide you with worry-free flooring in your home or business. Cleaning vinyl flooring is a breeze! With no grout, there is no need to worry about grout stains or getting special cleaning products to maintain grout color. Vinyl flooring can be kept clean and maintained with just a duster and a wet mop; you’ll have no need to invest in expensive steam cleaners and heavy-duty vacuums that can be very expensive in Tinley Park, IL. Because many vinyl floor installation options are ‘solid’ vinyl, or don’t show scratches, maintenance is a very easy process. If years down the road your vinyl loses its sheen in some areas due to high customer traffic or furniture placement, a quick strip and polish will make your flooring look brand new. 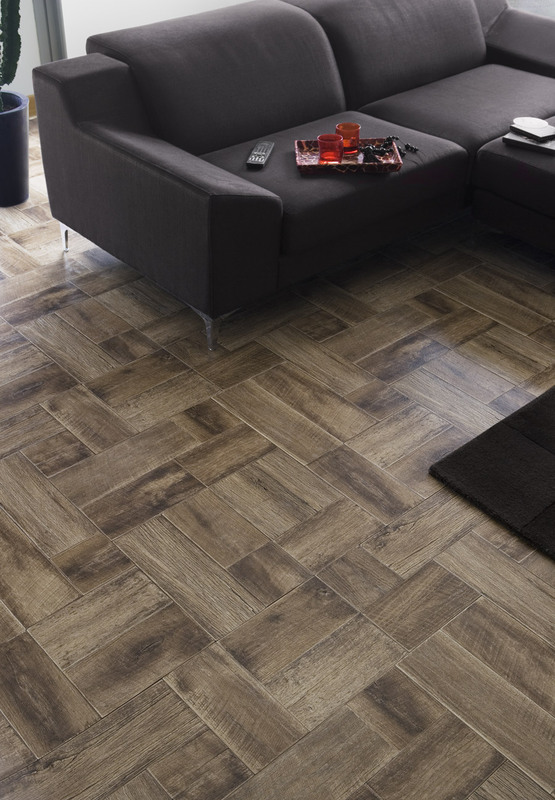 If a vinyl floor tile is simply beyond help, it is a quick and easy process to swap a tile out- especially when compared to the cost and efforts needed to change out a porcelain or ceramic tile! When installed by a professional vinyl floor contractor in Orland Park & Tinley Park, like CMS Vinyl Floor Installation Company Orland Park, vinyl flooring can last up to 20 years! However, it is quick to change it for new and updated flooring when freshening up your home or businesses color scheme. CMS floors will be there for you each and every time! CMS Hardwood Flooring doesn’t just specialize in hardwood flooring installation and refinishing- we do so much more than hardwood floors! At CMS, vinyl flooring installation in Tinley Park is a huge part of our service menu and is highly requested by commercial and residential Chicagoland property owners. 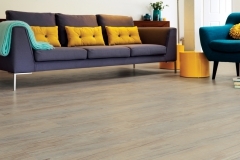 With a wide selection and a team of specialists on hand to discuss where vinyl floorings will be best in your home or business, you’ll always be making an informed decision before you invest. After a few years, vinyl flooring can get a bit roughed up- especially in busy restaurants and shops. We’ve long served fellow businesses, small and large, in the Orland Park area and can give you a great idea on if your floors can be repaired, refinished or need to be replaced. We care about our community and want to ensure that you have the best possible vinyl flooring to fit your needs and décor. What is also an important part of flooring contractor services is vinyl floor refinishing. After years of use, the vinyl flooring in heavy traffic locations like the hall or living room can become dull and yellow. That's why you should consider vinyl flooring refinishing once every few years. 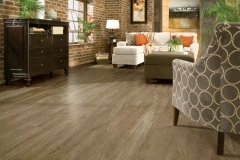 The greatest advantage of vinyl flooring refinishing is its affordability. CMS Floors can not only perform professional vinyl flooring installation or refinishing service but also do it for a really low price! When installed and refinished properly, vinyl floor can last for years. Then you just have to refinish it once again in order to preserve its shine and make it durable. Call CMS Floors and get your vinyl floor installation & refinishing! When working with CMS as a vinyl floor contractor in Orland Park & Tinley Park, you know you’ll be getting the best possible service at the fairest price in town. Whether you’re redoing the laundry room or performing a store renovation, CMS is the best vinyl flooring installation and refinishing expert in Orland Park. Through years of working in flooring profession, we learned how to properly perform vinyl floor installation & vinyl floor refinishing. Our crew is not only well-trained to do the vinyl floor installation, the prices we offer are affordable for every pocket! Whenever you are looking for good vinyl flooring installation or refinishing, give a call to your trusted and professional vinyl flooring contractor - CMS Floors. What's also a great advantage of cooperating with us is our customer service. The staff is always ready to help you with any problem, offer advice while you are hesitating between few options, and help make the best choice amongst many. If you value experience and professionalism, contact CMS Floors and get your vinyl flooring installation done in time, for affordable price.